Economía, Comentarios de Noticias, Videojuegos y algo de Humor. 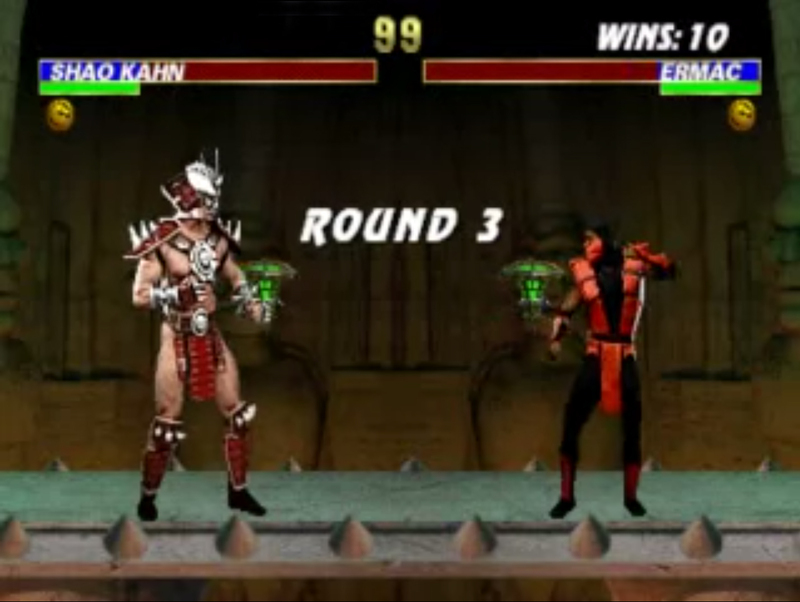 In my first completely english post I want to put in the (theoretical) arena two fighters and make them have a real Mortal Kombat. My english may not be very good, so if you don't understand any sentence (or the whole post!) please let me know so I can fix it, thanks. In the blogosphere and sometimes in academia a particular branch of keynesianism, the post-keynesians, always have a ready answer for the austrians when they both are arguing: “Sraffa refuted Austrian Business Cycle Theory”. Well, my plan is to confront Piero Sraffa’s criticism to Ludwig von Mises’ writings in order to see if that assertion is true. This is a long, theoretical and quoted post, so prepare yourself! And is about the interest rate conflict, the "second cardinal question", so the topic of "forced savings" will have to wait to another separate future post. 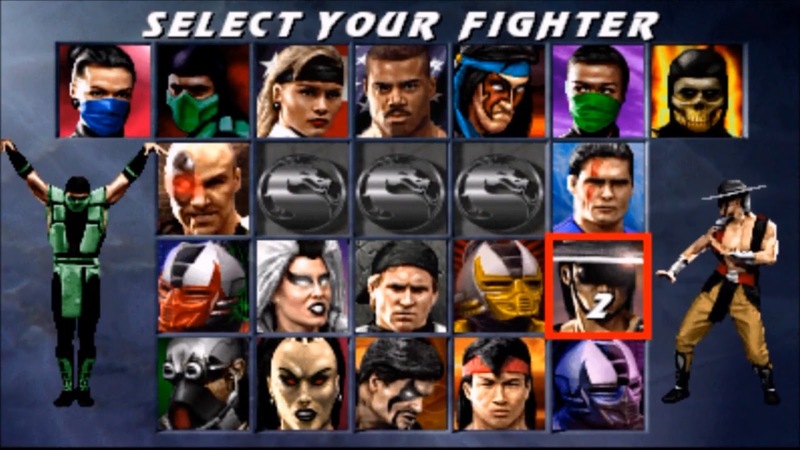 I have divided the post in two parts: As anyone who has ever play a Mortal Kombat game will note, this post has a “Select Your Fighter” section in part I where you will see some clarifications and differences between these fighters and other people involved in the debate. After that you have three “Rounds” to see if Sraffa’s critique can defeat Mises. 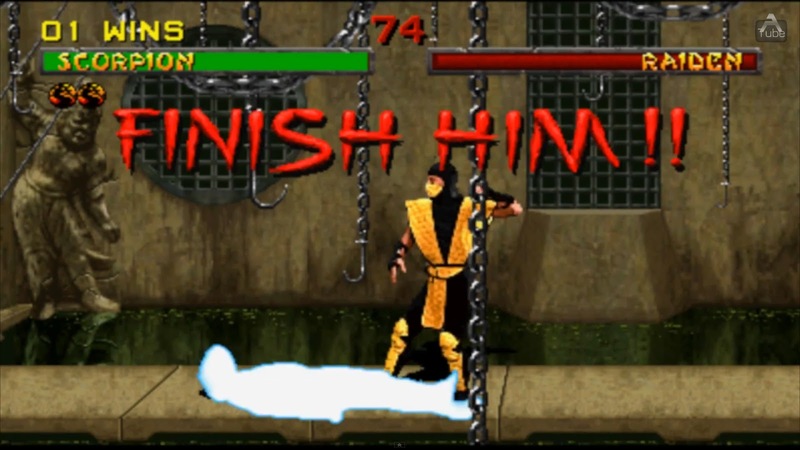 Then you have a “Finish Him! !” section which is an additional and ultimate round. 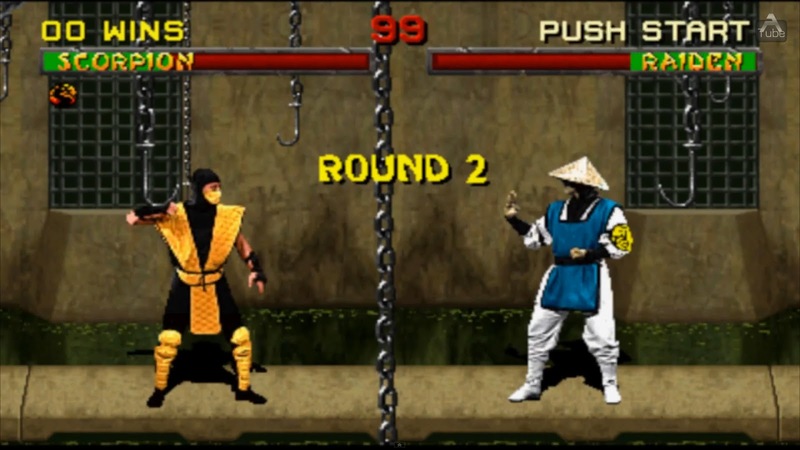 After that comes second part with a “Fatality” section in which there are other author’s criticism to Sraffa and defenses of austrian theory. After that you have a “Brutality” section which deals with some additional criticism from an anti-austrian blogger. And finally you have a “Friendship” section with my conclusion. The conclusion is that the Italian was unable to and was far from “refuting” Austrian Business Cycle Theory. 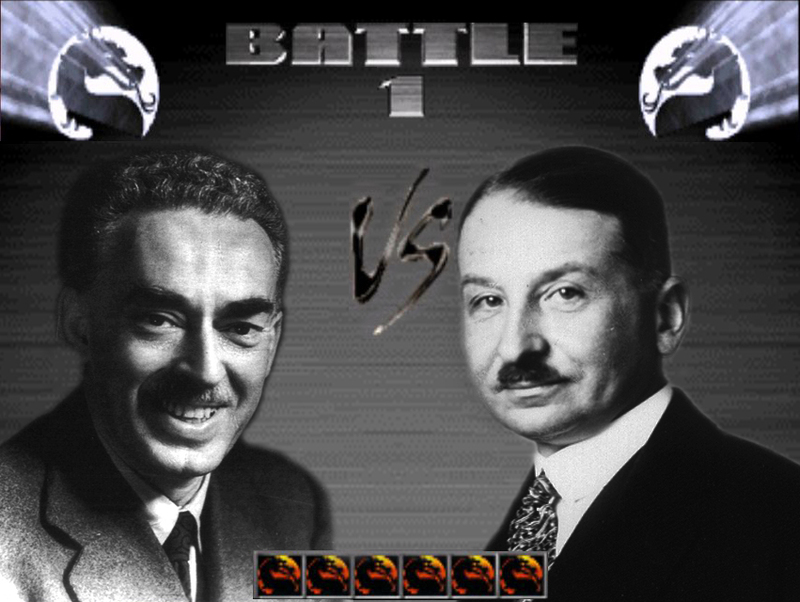 This is a Mises vs Sraffa fight, do not involve Hayek on this. All fighters are not the same, they have differences. Mises was not Hayek: This post is a misesian defense of Austrian Business Cycle Theory (ABCT). Sraffa’s two 1932 articles were targeting Hayek’s interpretation of Mises’s theory. As Hayek was not Mises and Mises was not Hayek, the ABCT cannot be “refuted” by criticizing only one interpretation. The master of ABCT in my view was Mises, and it is presented in its definitive form in his book Human Action, so in order to beat the theory one must beat him. As I will show, Sraffa was far from doing that. Despite the fact I consider Hayek’s response enough to answer the italian and I will cite Friedrich in some moments, I will try to concentrate only on Mises, my interpretation of Hayek’s refutation of Sraffa’s critique will have to wait. 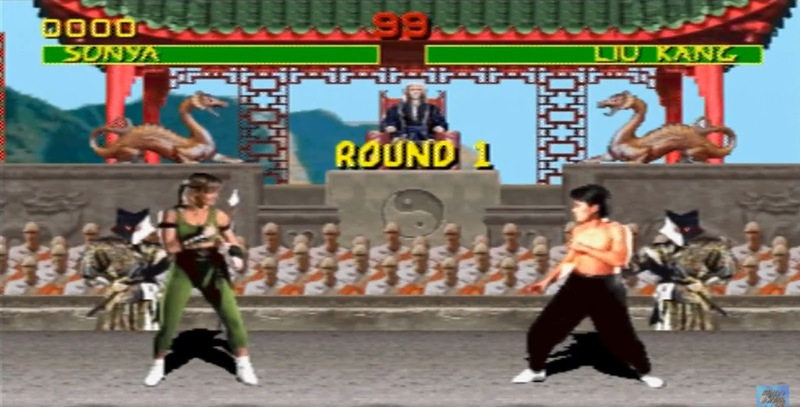 That’s the reason for the Mortal Kombat vs screen image :P .
Mises was not Wicksell: Does Mises completely support Wicksell’s theory of “natural rate”? Or does Mises support just the part about the deviation and distinction of some non-manipulated (by banks) rate? "The fact that I have followed the terminology and method of attack of Böhm-Bawerk's theory of interest throughout this chapter does not imply that I am an adherent of that theory or am able to regard it as a satisfactory solution of the problem. But the present work does not afford scope for the exposition of my own views on the problem of interest; that must be reserved for a special study, which I hope will appear in the not-too-distant future. In such circumstances I have had no alternative but to develop my argument on the basis of Böhm-Bawerk's theory. Böhm-Bawerk's great achievement is the foundation of the work of all those who until now have dealt with the problem of interest since his time, and may well be the foundation of the work of those who will do so in the future. He was the first to clear the way that leads to understanding of the problem; he was the first to make it possible systematically to relate the problem of interest to that of the value of money." "I had already begun writing my theory of direct exchange, and would have included it in the first volume along with the theory of indirect exchange had I been able to take my time and work in peace. But I knew that we were standing on the eve of a great war, and there was not much time available to me. I wanted to complete my book before the war’s outbreak. Thus I made the decision to go beyond the narrow structure of monetary theory by a few points only, postponing a more comprehensive work. I believe the task was done justice." "In Nationalökonomie, Mises finally delved into interest theory, the primary research area of his revered teacher, Böhm-Bawerk. In his classes at the University of Vienna in the 1920s, Mises had frequently dealt with contemporary interest theories. In those years, he had also planned to write a paper on the subject, but there had always been other projects that seemed more important. In Geneva, he was finally at leisure to fill this gap." As we see the fact that Mises used Bawerk’s terminology does not mean that Mises agreed with it. Well, in the same way the fact that Mises used Wicksell’s natural rate does not mean that he agreed with his interest theory. Why did Mises use theories of others even when he did not fully agree with them? It must be obvious at this moment: If Mises had not left his own interest theory written (yet), he could not refer to it in his treatment of the issue. In order to be comprehended, he had to refer to something that already existed in the moment. What he had in that moment was the theory that money market rate of interest can deviate from the “natural (barter)” rate, i.e. Wicksellian theory (based on Bawerk’s one). In other words Mises accepted (and demonstrated) that market rate can be deviated by interference of banks, he accepted the deviation part of Wicksell’s theory and that there must be a distinction between them because one rate can be manipulated. But, as his later writings demonstrate (when he finally had the time to write about the issue), he did not accepted that the “natural rate” was either a barter rate or a unique rate in the real world or a neutral rate as a reading of Wicksell may suggest. Mises agreed with this divergence and distinction between a manipulated (by banks) rate and the non-manipulated rate (a divergence produced by the non-neutrality nature of money he had developed), but he disagree with the interest from which market rate deviates by intervention of banks. Mises used Wicksell’s distinction between rates and defines “natural rate” using Wicksell’s terminology (not his own): “in natura” (Note that, once again, the word “terminology” makes appearance as in the Bawerk’s case). But this does not necessarily mean he agreed with it, the fact that he clearly clarifies that he is using Wicksell’s terminology demonstrate that he want to be distinguished from him. Using his previous footnote, the one in which he writes referring to Böhm-Bawerk, he could have written: “The fact that I have followed the terminology and method of attack of Wicksell's theory of interest throughout this chapter does not imply that I am an adherent of that theory or am able to regard it as a satisfactory solution of the problem.” I want to call attention to the possibility that the same thing that happened to him with Bawerk, may had happened again with Wicksell: despite not been in full agree, he was “forced” by circumstances to write relaying on his theory. He was using Wicksell's terminology, not his own theory. "Although both authors varied on the definition of the ‘natural’ or real rate of interest, the bone of contention concerned the dynamics between the two rates. While Mises insisted on the interdependence of both rates, Wicksell always regarded the mutual effect on one another as non existent or, at the most, as a “secondary factor”… “Beyond variations of both authors regarding the definition of the “natural” rate of interest, Wicksell and Mises disagree on the relation between the real (or natural) rate of interest and the loan (or market) rate of interest. As Uhr indicates, for Mises, banks cannot for long maintain a loan rate lower than the natural rate of interest. If they attempt to do so, either the natural rate of interest is reduced to the level of the loan rate by real capital formation resulting from ‘real saving’, or as the price level rises, non bank creditors press for higher loan rates, and if the banks persist in maintaining the low rate against their wish, the system will spiral down toward a crises. (Mises  1981, pp. 355-65, Uhr 1960, pp. 256-57).”… “After having considered that the natural rate was independent from the monetary rate, Wicksell made this concession at the prompting of Mises’ and Davidson’s criticisms in the second Swedish edition of the Lectures (1915)"
"Nevertheless Wicksell’s analysis is much inferior to Mises’s, particularly because it rests almost exclusively on changes in the general price level, rather than on variations in relative prices in the capital goods structure, which is the essence of our theory"
"We thus need to distinguish between interest expressed in terms of money and interest expressed in terms of other goods. But no two forms of goods can be expected to maintain an absolutely constant price ratio toward each other. There are, therefore, theoretically just as many rates of interest expressed in terms of goods as there are kinds of goods diverging from one another in value." "Adarkar examines carefully Sraffa’s critique of Hayek and recognises a (superficial) similarity between Fisher’s ‘real’ rates of interest on commodities and Sraffa’s ‘commodity’ rates, but concludes that the latter is the more useful concept." However, as we saw, this is not true. Sraffa was neither the first nor the only one who saw that relation. The creator of the “idea” of multiple rates of interest was Fisher, not Sraffa. The Italian did not cite Fisher in his paper criticizing Hayek in 1932, this fact plus Keynes’s lack of knowledge and bibliography perhaps made him believe that the “neo-ricardian” was the first. I know what you keynesians are thinking right now and yes, I have read Keynes enough to know that he certainly did read Fisher’s books (he even cites his 1930’s book on interest in the GT). But then why he did not recognized the american economist on that footnote? Why he did not say “Sraffa is building on Fisher’s theory” or “the first to point out this relation was Fisher and after him Mr. Sraffa”? He has that responsibility. I think that “lack of knowledge” is a soft accusation compared to me saying that, after he read Fisher, Keynes deliberately did not cited him in order to give Sraffa’s criticism some sort of “originality”. You have only two options for Keynes’s behavior: 1) ignorance or 2) deliberate dishonesty. I am trying to be polite so I will choose option 1). "He includes among the classical economists the pioneers and continuers of the subjective value or marginal-utility theories that represent a break with the "classical" economics. And when he writes about orthodox economics he seems to confine himself most of the time to Marshall and Pigou. He writes as if he were unaware of the great advances beyond these writers that were made, particularly in capital and interest theory, by Böhm-Bawerk, John Bates Clark, Knut Wicksell, Irving Fisher, Ludwig von Mises, and F. A. Hayek.”… “Keynes's frame of reference is strangely provincial. He seems to assume that whatever was not discovered by either Marshall or Pigou, or discussed in his little circle at Cambridge, was never thought of at all.”… “It was provincial of Keynes to treat his Cambridge teachers as representing the highest point reached by economics prior to his own emergence. After all, among his predecessors, there were Menger and Böhm-Bawerk in Austria, Walras in Switzerland, Wicksell in Sweden, John Bates Clark and Irving Fisher in America, and Jevons and Wicksteed in his own country. And among Keynes's contemporaries such figures as Mises, Hayek, Anderson, Knight and Röpke were carrying the logical rigor and unity of economics much beyond the point where Marshall had left it." "It is evident that Keynes had difficulty in grasping Hayek’s theory, finding it incomprehensibly muddled. His discussion of Hayek’s views drifts, as he says, into a review of Prices and Production. Keynes is very blunt..."
This admission completely reinforces what Hayek and Hazlitt have said. It was not a "barter rate"
It must be clear that in money economy there cannot be a barter determined rate of interest because a world with money is a different world than a world without money. There is no comparison possible or conceivable. In a barter economy without money we cannot isolate interest from price movements along time, if there is no monetary interest rate to manipulate and no way to do economic calculation which can be falsified by that manipulation, there cannot be cycle. Barter rate is neither possible nor something conceivable in a monetary economy. The natural rate defined by Wicksell is determined by “real capital” (this is one of Wicksell’s definitions). However Mises rejected any use of the holistic notion of “real capital” and he said that people act with the “individual” notion of “capital”. We see that the barter economy not only is an abstract unreal concept, it is also useless and wrong to determine a rate of originary interest that would emerge in a money economy because of holistic concepts. Originary interest is not determined by the demand and supply of real capital goods. "The case would, however, be different if the actual supply of wheat were not changed, but if, under the mistaken impression that the supply of wheat would greatly increase, wheat dealers sold short greater quantities of future wheat than they will actually be able to supply. This is the only case I can think of where, in a barter economy, anything corresponding to the deviation of the money rate from the equilibrium rate could possibly occur." It was not a "unique rate"
Taking the risk of me been accused of excessive citing, it must be out of any doubt that for Mises neither originary interest nor the gross market rate can be uniform in a changing economy, there is no other possible interpretation. It is obvious that Mises was not explaining the deviation from a “unique” rate, but a deviation from a process of adjustment to a definite market data which, if not change anymore (a very unreal assumption), would establish a unique rate. However he is not assuming that this unique rate exists! The economy’s process of adjustment to a new false data (the availability of more “credit”) will result in a massive cluster of errors (boom) and when they are discovered (crisis) the process of adjusting to the real data (recession) will emerge. It is the process what is perturbed, the appearance of new fiduciary media (credit expansion) makes that the process deviates from what would have been without that perturbation. All the confusion of this discussion is due to the faulty neo-classic concept of "equilibrium". Equilibrium is a dead non-changing world. In the real world we must talk about “harmony”, a process of complementary actions. This harmony of (intertemporal) complementarity in actions of individuals is disturbed by the action of banks, this agents makes the action of individuals be in disharmony due to the introduction of wrong data (new fiduciary media). The “natural interest rate” is established at that height which tends toward equilibrium on the market. The tendency is toward a condition where no capital goods are idle, no opportunities for starting profitable enterprises remain unexploited and the only projects not undertaken are those which no longer yield a profit at the prevailing “natural interest rate.” Assume, however, that the equilibrium, toward which the market is moving, is disturbed by the interference of the banks.”… “Since it always requires some time for the market to reach full “equilibrium,” the “static” or “natural”36 prices, wage rates and interest rates never actually appear. The process leading to their establishment is never completed before changes occur which once again indicate a new “equilibrium.” At times, even on the unhampered market, there are some unemployed workers, unsold consumers’ goods and quantities of unused factors of production, which would not exist under “static equilibrium.” With the revival of business and productive activity, these reserves are in demand right away. However, once they are gone, the increase in the supply of fiduciary media necessarily leads to disturbances of a special kind. “(1) Relative price changes brought about by monetary factors are not equilibrium relative prices, that is, the prices are not consistent with the underlying real factors. The systematic distortion of relative prices misdirects production temporarily. But as economic agents discover that plans are not coordinated, real forces will reassert themselves. The misdirection is corrected and cyclical phenomena are observed (p. 159). This is not meant to imply, however, that relative prices will, in general, return to their previous, pre-boom levels. So having shown this, let’s see the issue of neutrality. It was not a "equilibrium-neutral rate" and there can never be a neutral money. Mises never looked for a “neutral money” policy (neither Hayek did: “Mr. Sraffa's suggestion that I am surreptitiously shifting my position from the theoretical analysis of " neutral" money to the defence of one particular maxim of monetary policy is entirely due to his misunderstanding of this point”… “there is no justification for the suggestion that, after this, my exposition illegitimately takes certain aims of economic policy for granted…”). Actually anyone who has ever read Mises knows perfectly that for him there can never be a neutral money in the real world. In the evenly rotating economy there is no change (i.e. it is not a changing economy), so the rate of interest is unique, uniform and neutral. But ERE is not real, and is impossible to be real because it is a static and self-contradictory construction if we take it to the extreme, however useful it can be to study some subjects. As we see, it is unreal, self-contradictory, faulty, etc. to talk about a “neutrality of money” in the real world. There can never be such thing in reality, it is absolutely impossible. Mises have never asked for a “policy” to make money “neutral”, on the contrary he spent all his career to demonstrate how ridicule that concept is. His monetary theory and his business cycle theory are based on the non-neutrality of money. Non-neutrality is only possible in the changing world, in the imaginary and unreal ERE money is neutral as well as interest. ABCT did not looked for or recommended a “neutral” money policy in misesian view. In this passages Mises was answering a question raised by some economists (Haberler and even Hayek): If market rate of interest change and rise, what would happened if banks do not rise the interest rate they charge to accommodate to this new situation? Would that mean that the bank’s rate is below “natural rate”? Would that initiate a cycle? Mises’s answer is no as long as they do not expand credit. “If one wants to know whether or not there is credit expansion, one must look at the state of the supply of fiduciary media, not at the arithmetical state of interest rates." Mises is saying that banks can lower interest rate if they want to. Lowering banks rates below “natural” rate is not a problem (for the rest of the economy of course, it certainly is a problem for the economic situation of banks because they are making "gifts”) and do not cause a cycle. If this lowering is made without credit expansion it will not cause a cycle. The problem is not and has never been a problem of “accommodate” bank’s interest rate to “the” natural rate. In other words even assuming that Sraffa was right and that there are “multiple rates” of interest outside equilibrium, this is not at all a problem for ABCT in the misesian construction. Because banks can put the interest rate they want (of course this does not mean that they will not lose money acting in such uneconomic way) and they must not adjust to any “natural” rate, but in order to initiate a cycle they must expand credit. A lowering rate as consequence of credit expansion is what creates a boom. The cycle is not caused by a lower interest rate per se, but by a lowering via credit expansion. There could be as many rates as you want, but as long as there is no credit expansion there will be no credit cycles and no need for a “policy” to target any rate. For Mises banks need not to adjust their interest rate to “the” natural rate (this is what Sraffa was “refuting”) to avoid cycles, all that they must do is to abstain of expanding credit. I cannot even imagine a better refutation to Sraffa’s final “victorious” comment using Mises’s own words. Actually the banks can raise the interest rate and at the same time provoke a boom cycle. How can they? Only if they expand credit!!! "New businesses are started in the expectation that the necessary capital can be secured by obtaining credit. To be sure, in the face of growing demand, the banks now raise the “money interest rate.” Still they do not discontinue granting further credit. They expand the supply of fiduciary media issued, with the result that the purchasing power of the monetary unit must decline still further. Certainly the actual “money interest rate” increases during the boom, but it continues to lag behind the rate which would conform to the market, i.e., the “natural interest rate” augmented by the positive price premium." "It does not matter whether this drop in the gross market rate expresses itself in an arithmetical drop in the percentage stipulated in the loan contracts. It could happen that the nominal interest rates remain unchanged and that the expansion manifest itself in the fact that at these rates loans are negotiated which would not have been made before on account of the height of the entrepreneurial component to be included. Such an outcome too amounts to a drop in gross market rates and brings about the same consequences." The reduction of interest rate is not a reduction in absolute terms, but in relative terms. Relative to a rate of interest that would have prevailed in a market without credit expansion. This is the reason why ABCT is compatible even with a situation in which the rate of interest is raising in absolute terms, because is raising less than it would rise in an environment without credit expansion. As we saw, a careful examination of Mises’s writings (however not an exhausting one!) demonstrate that misesian ABCT is totally immune to all accusations about interest theory and policy issue raised by Sraffa against Hayek. Of course I did not examine his other “cardinal” point about “forced savings”. But the most important and always raised is this issue of “multiple interest”. In the next post I will exam some other details on this issue. I myself have looked for this footnote (using Google-Translate because I can’t speak german) in the first german edition of TMC and I did not find it there. So this footnote could have been incorporated in the second edition. After that, I found this explanation by Kirzner: “As we have seen the "Austrian" Theory of the Trade Cycle combined a key Wicksellian insight (on the divergence between the "money" rate of interest and the "natural" rate of interest) with ideas concerning the time-dimension of production, which had their source in Böhm-Bawerk's famous theories concerning capital and interest. Mises accepted key elements from Böhm-Bawerk's theories; but he also gradually grew dissatisfied with other elements in those theories. The first edition of his 1912 Theorie des Geldes und der Umlaufsmittel used Böhm-Bawerk's approach to the theory of capital-using production and interest without reservations. His 1924 second edition of that work, however, contained a rather lengthy footnote both praising Böhm-Bawerk for a "great achievement" and indicating some serious disagreement with his approach (TMC, 339n). Mises also used that footnote to refer to an anticipated "special study" of his own on the problem of interest, which he hoped would "appear in the not-too-distant future." That special study never did appear and apart from a number of brief observations on the area of capital and interest which appeared in various writings of Mises over the years, it was not until his 1940 treatise, Nationalökonomie, that Mises presented his complete theory of interest (along with a series of carefully formulated statements concerning the use of the term "capital" in theoretical discussion, with special critical emphasis upon its use in discussions of interest theory). This theory of interest he developed was so radical and so striking that when Frank Knight wrote his 1941 review article, he chose to concentrate virtually his entire discussion-in an article highly critical of Mises-on that topic, entitling it "Professor Mises and the Theory of Capital. "… “What aroused Knight's analytical ire in Mises was, in particular, those areas in which Mises believed that his mentor had not proceeded consistently enough, or far enough, in the strictly "Austrian" (i.e., subjective) direction.” See Kirzner, Israel. Ludwig von Mises (2001) page 147-48. All the rest of the sections have no changed as Hülsmann notes: “As far as the exposition of Mises’s business-cycle theory is concerned (part 3, chap. 5, in part § 4), there are no differences between the first edition and later editions. But for a few exceptions the text is exactly the same (see1st ed., pp. 425–36; 2nd ed., pp. 366–75); the same is true for the entire chapter 5, except for § 5 (see below). Thus from the first edition, Mises’s business cycle theory contains the same discussion of forced savings, the reverse movement of prices, the natural rate of interest and deviations from it induced through fiduciary media, the importance of the subsistence fund, etc. as did all later editions. The difference between the first and the second edition relates to the concluding § 5 of chapter 5, where Mises discusses the significance of his own contribution to business-cycle theory.” Hülsmann, Güido. Mises: The Last Knight of Liberalism (2007) page 254. Mises, The Theory of Money and Credit (1912) pag. 339. Mises, Memoirs (1940) page 44. Agnés Festré, “Knowledge and individual behaviour in the Austrian tradition of business cycles: von Mises vs. Hayek” (2003). Mises, The Causes of the Economic Crisis (1978) page 107-108, “Monetary Stabilization and Cyclical Policy” (1928). Festré, Agnés. “Knut Wicksell and Ludwig von Mises on Money, Interest, and Price Dynamics” (2006). Zahringer, Kenneth A. “Monetary Disequilibrium Theory and Business Cycles: An Austrian Critique” (2012). Huerta de Soto, Jesus. Money, Bank Credit and Economic Cycles (1998) page 359. Hazlitt, Henry. The Failure of the "New Economics" (1959) page 243. Fisher, Irving. The Theory of Interest (1930) page 42. Grieve, Roy. “Keynes, Sraffa and the Emergence of the General Theory: Some Thoughts” (2008). Keynes, John M. The General Theory Of Employment, Interest and Money (1936) page 202. This would not be the last time that keynesians “take” an idea from the proto-monetarist Irving Fisher. In 1973 The Journal of Political Economy reprinted a 1926 paper of Fisher called "A Statistical Relation between Unemployment and Price Changes" but changing its name suggestively to “I Discovered the Phillips Curve: A Statistical Relation between Unemployment and Price Changes”. This was a clear allusion to the keynesian “Phillips Curve”. In this way monetarists were remembering to the academia who was the real creator of that curve. See Leeson, “Fisher and Phillips” (1995). Keynes, John M. “The Pure Theory of Money: A Reply to Dr. Hayek” (1931). Keynes was not alone. A contemporary proto-monetarist like Hawtrey also had serious difficulties due to his non-comprehension of capital and interest theory. Hawtrey complains that Prices and Production was “so difficult and obscure that it is impossible to understand [its] 112 pages except at the cost of many hours of hard work‟, and that, „this is not a necessary consequence of the difficulty of the subject, but that [Hayek] has been led by so ill-chosen a method of analysis to conclusions which he would hardly have accepted if given a more straightforward form of expression” Cord, Robert A. “The Keynesian Revolution: A Research School Analysis” (2009). And modern monetarists like Allan Meltzer also has similar coments. Huerta de Soto, Jesus. Money, Bank Credit and Economic Cycles (1998) page 524. However all they are in sharp contrast with Benjamin Anderson who, in Keynes’ times, knew monetary, capital and interest theory very well. Hazlitt, Henry. The Failure of the “New Economics” (1959) pages 12 and 55. Kurz, Heinz D. “Sraffa’s Reception of the German Economics Literature: A Few Examples” (2000). Hülsmann, Mises: The Last Knight of Liberalism (2007) pages 253, 779-781. Salerno, Joseph. Money, Sound and Unsound (2010) page 83. Cochran, John P. “Capital, Monetary Calculation, and the Trade Cycle: The Importance of Sound Money” (2004). Mises, Money, Method, and the Market Process (1990) page 65. Mises, Ludwig von. The Causes of the Economic Crisis (1978) pages 74-75. Mises, Ludwig von. Human Action (1949) pages. 263-64, 523-24. Mises, Ibid. (1949) pages 512. Festré, Agnés. “Knut Wicksell and Ludwig von Mises on Money, Interest, and Price Dynamics” (2006) and “Knowledge and Individual Behaviour in the Austrian Tradition of Business Cycles: von Mises vs. Hayek” (2003). “These data, however, are no longer identical with those that prevailed on the eve of the expansionist process. A good many things have changed. Forced saving and, to an even greater extent, regular voluntary saving may have provided new capital goods which were not totally squandered through malinvestment and overconsumption as induced by the boom. Changes in the wealth and income of various individuals and groups of individuals have been brought about by the unevenness inherent in every inflationary movement.” Mises, Ibid. page 560. Human Action page 549, 577-78. What does “process of adjustment” mean? “Every change in the market data has its definite effects upon the market. It takes a definite length of time before all these effects are consummated, i.e., before the market is completely adjusted to the new state of affairs… each change in the data has its own course, generates certain reactive responses on the part of the individuals affected and disturbs the relation between the various members of the market system even if eventually no considerable changes in the prices of the various goods and no changes at all in the figures concerning the total amount of capital in the whole market system result” Human Action page 648. If you think that equilibrium is just a neo-classical feature, maybe you should think again. Some writers think that sraffian economics is just another type of general equilibrium. “Nuti has recently characterized the approach of Sraffa and others as "a general equilibrium approach with the preference side chopped off." And he argued that "the approach...has no overwhelming advantages over the general equilibrium approach" (Dominco Mario Nuti, "On the Rates of Return on Investment," Kyklos 27 : 357). Nuti likewise identifies the Sraffa approach as "'classical'" (Nuti, 357-58).”… “The theoretical connection between Ricardian classical political economy and Walrasian neoclassical economics has been recently noted by Robert Eagly: "Janus-like, the Walrasian system is situated between two great systems of economic theory. It forms the capstone to classical theory on the one side, and on the other the cornerstone to the modern post-classical theory. It provided answers to questions posed by the normal progression of theoretical inquiry within the classical framework. But at the same time it posed new questions that were to occupy the attention and time of economists during the following century" (Eagly, Structure of Classical Economic Theory [New York: Oxford University Press, 1974], p. 134).”… “The analysis of the previous chapter provides the basis for a diagnosis. Ricardian economics is an unsatisfactory theory because of its inability to explain demand or short-run pricing. Even its long-run value is marred, dependent as it is on a materialist conception of costs. In the Ricardian analysis, costs depend on "the ultimate conditions on which nature yields her stores." It was from this materialist conception of costs that subjectivist neoclassical economics was to emancipate us. This Ricardian conception is not entirely consistent with a thorough-going subjectivist cost theory, in which a cost is a forgone utility. Once again, the forgoing in no way subtracts from Ricardo's many valuable contributions, not the least of which is the concept of the margin.” See O'Driscoll, Gerald. Economics as a Coordination Problem: The Contributions of Friedrich A. Hayek (1977). Actually, according to Skousen, it is as unreal as Samuelson’s neoclassical presentation: “What is it? Paul Samuelson calls it “abstract methodology” (Samuelson 1962: 8). Ronald Coase names it “blackboard economics” (Coase 1992: 714). Simply put, it is the chronic divorcing of theory and history. It is stripping economics of the past, present, or future. It is pure deductive reasoning and high mathematical formulas without reference to history, sociology, philosophy, or the institutional framework. It is abstract thinking and model building using unrealistic and even false assumptions. Take a look at Samuelson’s Foundations of Economic Analysis (1947) or neo-Ricardian Piero Sraffa’s Production of Commodities by Means of Commodities (1960). Samuelson’s book is practically nothing but differential equations and assumptions far removed from reality. Sraffa’s work has hardly a single sentence that refers to the real world (see the box on Sraffa, page 108). They are both very much in the tradition of Ricardo.” … “Sraffa used a Ricardian “corn” model, with severely limited assumptions of homogeneous labor, a single commodity, and a single production technique. There are no references to demand, prices, or human action. Everything is mechanical. Blaug concluded elsewhere, “Sraffa’s book is after all a perfect example of what some economists have come to believe is wrong with economics: there is hardly a sentence in the book which refers to the real world” (Blaug 1975: 28)… Sraffian economics is a strange mixture of Ricardo, Marx, and Keynes, in the end rejecting orthodox neoclassical economics, the theory of consumer demand, and marginal utility. It is an ideal document for wholesale government interventionism and totalitarian central planning. Needless to say, Sraffian economists represent a very small percentage of the economics profession.” (Italics, bold and underlined are mine) Skousen, The Making of Modern Economics (2001) page 93, 108. Mark Blaug criticizes heavily Sraffa: in The Cambridge Revolution: Success or Failure? (1975), Economics Through the Looking Glass: The Distorted Perspective of the New Palgrave Dictionary of Economics (1988), “Misunderstanding Classical Economics: The Sraffian Interpretation of the Surplus Approach.” (1999), “Kurz and Salvadori on the Sraffian Interpretation of the Surplus Approach.” (2002), “The Trade-Off between Rigor and Relevance: Sraffian Economics as a Case in Point.” (2009) and finally Murphy, “Sraffa's Production of Fallacies by Means of Fallacies” (2004). Mises, The Causes of the Economic Crisis (1978) pages 109-10, 124, 120. Shenoy, Sudha. Towards a Theoretical Framework for British and International Economic History: Early Modern England. A Case Study. (2010) pages 250-51. Mises, Memoirs (1940) pages 46-47, 94. Money, Method and Market Process (1990) pages 69-70. Mises, Human Action pages 410-411, 552-53, 203, 395-396, 414-15, 539-40. Mises, Ibid. (1949) pages 257, 414,248, 250-51. Mises, The Causes of the Economic Crisis (1978) page 107. Mises, Ludwig von. Interventionism: An Economic Analysis (1940) page 43. Mises, Human Action (1949) page 789. Mises, Interventionism (1940) pages 42-43. Mises, The Causes of the Economic Crisis (1978) page 113. Mises, Human Action (1949) pages 555-56, 560-61. Mises, The Causes of the Economic Crisis (1978) pages 134, 150, 179, 186. Remember that Rothbard also makes a difference from Wicksell. For Rothbard the natural rate is that of the market without loan market i.e. only the rate of return of business: "Since Knut Wicksell is one of the fathers of this business-cycle approach, it is important to stress that our usage of “natural rate” differs from his. Wicksell’s “natural rate” was akin to our “free-market rate”; our “natural rate” is the rate of return earned by businesses on the existing market without considering loan interest. It corresponds to what has been misleadingly called the “normal profit rate,” but is actually the basic rate of interest." Rothbard, America’s Great Depression (1963) pages 33-34. Block, Walter. and Garschina, Kenneth M. “Hayek, Business Cycles and Fractional Reserve Banking: Continuing the De-Homogenization Process” (1996). Mises, The Causes of the Economic Crisis (1978) page 109. Mises, Human Action pages 549-50. Mises, Planning for Freedom (2008) page 78-79. The article was written by him in 1965. Mises, The Causes of the Economic Crisis (1978) page 161. By the way, if you are wondering: what does credit expansion means? : “In issuing fiduciary media, by which I mean bank notes without gold backing or current accounts which are not entirely backed by gold reserves, the banks are in a position to expand credit considerably. The creation of these additional fiduciary media permits them to extend credit well beyond the limit set by their own assets and by the funds entrusted to them by their clients. They intervene on the market in this case as "suppliers" of additional credit, created by themselves, and they thus produce a lowering of the rate of interest, which falls below the level at which it would have been without their intervention…. Finally, it will be necessary to understand that the attempts to artificially lower the rate of interest which arises on the market, through an expansion of credit, can only produce temporary results, and that the initial recovery will be followed by a deeper decline which will manifest itself as a complete stagnation of commercial and industrial activity. The economy will not be able to develop harmoniously and smoothly unless all artificial measures that interfere with the level of prices, wages, and interest rates, as determined by the free play of economic forces, are renounced once and for all.” See Mises, “The Austrian Theory of the Trade Cycle” (1936). Huerta de Soto, Jesus. Money, Bank Credit and Economic Cycles (1998) page 349.